If you would like more information upon our range of Small Desks contact The Dorking Desk Shop. 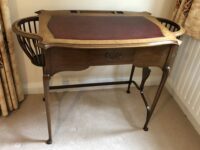 Edwardian carved oak pedestal desk. 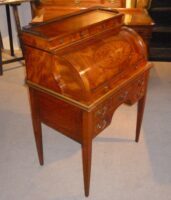 Solid mahogany, military campaign desk. Circa 1910.